Crowdvilla – Digitizing Holiday Real Estate Using Blockchain Technology. Crowdvilla is an organization which permits users to get serviced holiday home with the aid of the blockchain technology. Established in March 2018 by a Singapore based company (REIDAO). 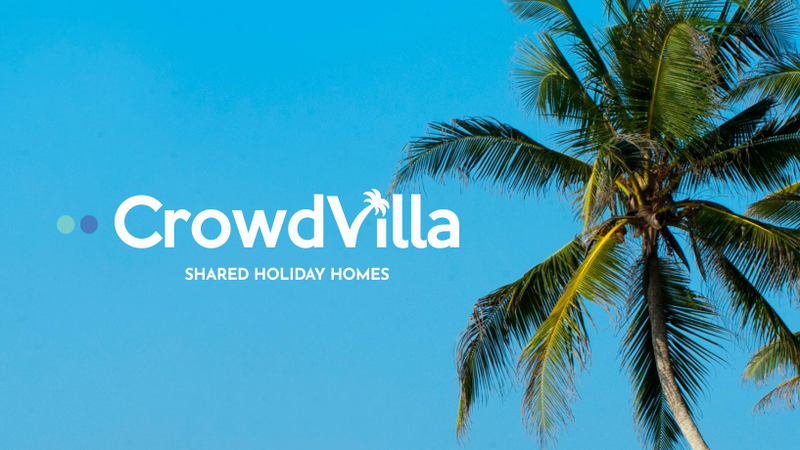 Crowdvilla has the primary responsibility of providing shared holiday homes for travelers using blockchain technology in creating a sharing economy platform where its community members can own a service real estate without a third party interference. The stereotypic nature of owning a private vacation home is that it is solely meant for the rich. With the aid of the blockchain technology, this stereotype will be brought to its climax. Imagine a blockchain technology that can store data points of varying transaction, which implies that guests and hosts can have their bookings and data recorded without an external influence or hidden charges. Crowdvilla, being a non-profit organization is bound under the face of the law to maximize fundraising for the sole purpose of making holiday homes available for its community. In the actual sense, crowd-users will be spending less because no individual or agency is involved and there will be minimum paperwork in the process. Users on Crowdvilla platform must have a “utility token” which can also be referred to as “crowd points”. The utility token remains the only viable means by which crowd-users can book state of the art homes or rooms for their business. The crowdpoints provides financial aid for the upkeep and services provided by Crowdvilla. One of the biggest contributions of blockchain to online real-estate is that it facilitates a faster and smoother contract management. The adoption of blockchain technology gave birth to smart contract- which aids transparency, efficiency, and cost in holiday real estate. The use of blockchain technology is imperative today in the real estate sector with its ability to expedite projects and reduce fraud. Crowdvilla hopes to completely remove inefficiency in the real estate industry by recording digital assets in a transparent form using the blockchain technology. Federico Folcia who is the former CEO of Roomorama- a home sharing platform stated that “in an indigenous peer to peer sharing economy, there shouldn’t exist any form of third party interference in the transaction process or contributing to hike in price. Crowdvilla is saddled with the responsibility of making the process efficient and secure for both house owners and visitors”. He is the advisor of the organization and helps with critical thinking when business decision is needed to be made for the benefit of Crowdvilla. The Co-founder and CEO of Crowdvilla, Mr Darvin Kurniawan stated that “blockchain technology will revolutionize the traditional economy sharing; it will decentralize real estate and only the interest of the community will be served”. At the release of the crowd token which is slated for March 2018, where the crowd tokens will be available for sale and it can be exchanged for the Ethereum token. This event will mark the beginning of the initial crowd-owned properties under the Crowdvilla platform.